Save time & money with our licensed HVAC repair technicians. Licensed plumbers to help you out of your disaster fast! Our certified electricians are here to keep your home safe. 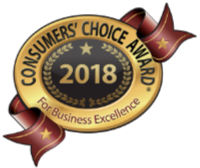 BERKEYS – Award-winning Service You Can Trust! 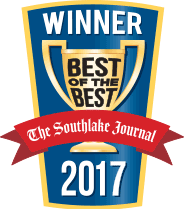 Looking for the Best Plumber, Electrician and Air Conditioning Company & Contractor in Dallas Fort Worth? Berkeys is Open 24 Hours a Day for Standard and Emergency Plumbing, Electrical and HVAC Repairs (Subject to Availability & After Hours Fees). Berkeys’ HVAC technicians specialize in inspecting and repairing air conditioning units that are not working correctly. 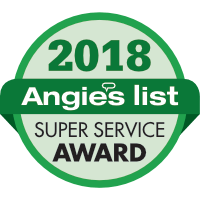 They are experts at everything from condensers, coils, air ducts, air filtration to complete HVAC replacements and HVAC installations with the best warranties in Dallas/Fort Worth. Need an annual tune-up on your HVAC systems? Ask us about our Berkeys BAM! Membership. Annual HVAC System Maintenance can help you avoid many problems from happening to your air conditioning and heating units. BAM! 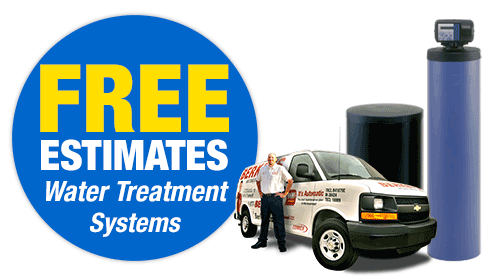 provides members one tune-up for their heating and another for their air conditioning. This makes sure that your home has what it needs when it needs it. You also get the perks of priority scheduling and up to 15% off parts and labor. Berkeys’ plumbers specialize in sewer & pipe repairs, shower & tub repairs/installations, kitchen & bath faucet repair/installations, sink repairs/installation, plumbing inspections, water filtration, water softening, garbage disposal repair/installation, toilet repair/replacement, drain cleaning, drain camera inspections, leak detection/repair, plumbing repair/installation and back flow prevention for all Dallas/Fort Worth, Texas homes & commercial business properties. Want a Plumbing Inspection of your home’s plumbing system every year? Ask us about our Berkeys CLUB Membership. The CLUB membership will provide you with the peace of mind that your plumbing system is operating at maximum efficiency. Our licensed plumbers will do an inspection of the plumbing in your home to find and repair any possible future issues. Berkeys’ electricians can inspect any electrical issues you may be having and replace or repair products such as electrical panels and circuit boards, electric surge protection, LED lighting, ceiling fans, complex electrical wiring or rewiring, backup or standby electric generators and much more. Need an electrical check up on your home’s lighting and electrical systems every year? Ask us about our AMP Membership which can save you up to 15% on electrical services. This membership includes many things such as an electrical safety check every year to ensure that your home is safe and operating correctly for you and your family. Our licensed professionals will ensure that the power in your home is working at top efficiency. Even though the climate in Dallas Fort Worth can vary by region, Berkeys can serve your Dallas repair needs no matter where you’re located. Whether it’s your home or office, furnace or A/C repair, maintenance or new install, leaky pipes, backed up sewer lines or drains, electrical issues, plumbing issues, garbage disposals, slab leaks, plumbing inspections, heating system inspections and air conditioning check-ups, we bring our more than 35 years of experience to every service call. Berkeys is there for you when you need an emergency repair during a sweltering summer heat or an emergency heater repair during a cold winter’s day. We can also work with you on a regular maintenance plan to ensure the longevity of your unit. We have air conditioning, plumbing and electrical annual memberships. Our industry-trained and certified professionals will listen to your concerns and address them with knowledgeable solutions to ensure that your system operates at its best year round — chilly or warm, we keep you comfortable! Experienced, background-checked and certified technicians. After your service, we call the city to inspect our work! We clean up after the job is done, rain or shine. Reliable emergency Plumbing, Electrical, AC, Heating service, 24/7, year round when you need it! Visit our plumbing, air conditioning and electrical contractor service areas page. Check out our plumber / plumbing jobs, air conditioning jobs, and electrician / electrical jobs career pages. What’s New? Find Out At Dallas Startup Week!